Roses are the most beloved of flowers, with mystery and romance connected to their lore. There is fossil evidence of the rose plant from 35 million years ago and their cultivation began in China 5,000 years ago. More than 150 species of roses have been found in nature and countless cultivars developed from them. Growing roses is easy with a little understanding of their life cycle. Rose seeds develop inside the rose hip, which is the fruit of the rose brush. Rose hips develop below the flower. The hips become red, yellow or orange throughout the summer and are full of seeds by autumn. The botanical term for rose seeds is "achene." They are creamy white and will sprout in 8 to 12 weeks. Roses grown from seed do not have the same characteristics as the mother plant. Grafting or root cutting is the reliable way to replicate a particular rose plant. Root cuttings are grown in perlite and a rooting hormone used to stimulate growth. Cultivars are selected for their vigorous growth habits, disease resistance, flowers or fragrance. Rose cuttings can also be grafted onto hardy rootstock to ensure strong growth. 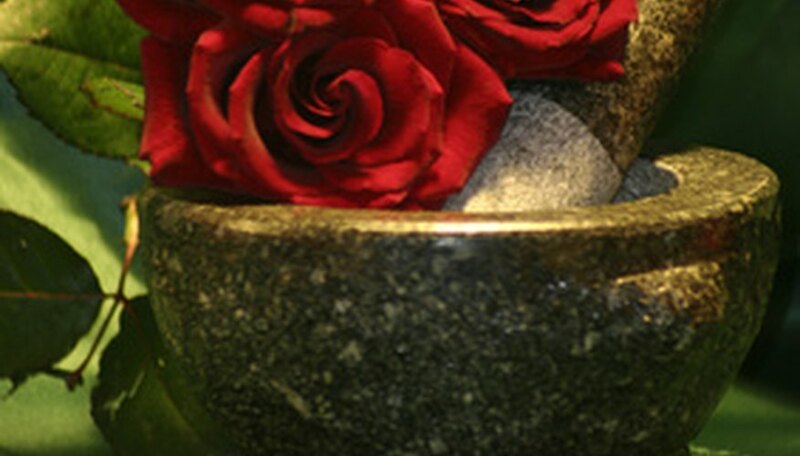 Roses are sold as bareroot during their winter dormant season. American Nursery Standards grades roses as 1, 1½ and 2. Grade 1 rose plants have three or more canes that are ¾ inches in diameter. They must be 2 years old when harvested from the field. Grade 1½ has two strong canes, and Grade 2 have small canes. Experienced rose growers recommend purchasing grade 1 roses because of their reliable, strong growth. Bareroot roses are planted from January to April before growth begins. They thrive in a garden spot that receives at least six hours of sun per day and has well-draining soil. They do not like wet, soggy roots. Soil should be amended with organic compost for good drainage and nutrient value. Plants begin to grow leaves, buds and flowers as the weather warms in late spring. They continue to grow and bloom during summer. Roses have a dormant period in winter even when the weather is mild. Their leaves begin to turn yellow, brown and red, and the stalks become leggy as winter approaches. They must be pruned to within 2 to 3 feet of the ground to ensure vigorous growth the following year. Rambling roses and climbers also benefit from pruning after they have bloomed.